The end of the semester is nigh as I have my last final in a few hours. Naturally, I’m not studying but blogging my anxiety away. As of 12/11/2013, I will be done with my CS curriculum which means no more CS classes are required for my degree but I have some non-CS classes to take through out next year. I managed to talk myself out of taking any extra CS classes. Instead, I will focus on learning other skills and working on my “main” web apps/ projects. DawgTransit.com was a site I started over a year ago to help people get familiar with UGA bus routes. The code base isn’t public and that’s deliberate because it’s quite ugly. 🙂 The back-end is written in PHP and I mostly wrote it as I went i.e. no real backend design went into it. So, eventually, I want to rewrite the backend using OO principles and work on a more sophisticated routing algorithm that takes into account the distance between bus stops in recommending routes for users. CoursePicker is my next ‘big’ web app which is also written in PHP. The source code for this is available online and it’s less hacky than Dawgtransit i.e. I thought about the back-end design just as much as the frontend and I’m pretty happy with the result. However, the site was built with the Fall 2013 semester data only. An immediate improvement I want to roll out is: allowing the user to select the semester based on either the Athens & Gwinnett campuses (Griffin campus will have to wait). I’m currently working on populating my database with the data automatically. DawgDictionary /UGA Slang was another simple web site I threw together which scraped the data from http://english.uga.edu/def/ into a database in order to present the info in a more user friendly way. 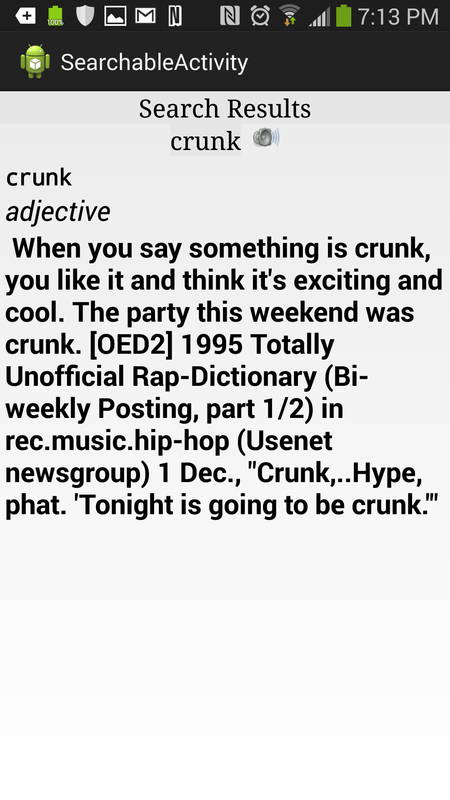 Well, I recently had the idea to make it into an Android app (a dictionary of sorts) and I’ve begun work on this. Nowhere near done, but it’s in the works. Also, the “browse” function on the website hasn’t implemented and I’m not too happy with the website’s look so a redesign will be in the cards. TweetPuller – I made a Chrome extension using Twitter’s old api. Shortly after, Twitter started requiring all apps using twitter to move towards oauth authentication and I never got around to doing this so my extension doesn’t work anymore. 😦 My todo for this extension is to make the extension comply with Twitter’s new rules and it’ll be good to go. My point in enumerating these projects is really to reinforce to myself that there’s a lot of work to be done and to not feel guilty for not taking any CS classes in the Spring 2014 semester. Course credits are expensive! (~ $255 per credit hour) and if I can educate myself without paying anyone, that’s a win in my book.